Tony's Garage LTD Offers Local & Long Distance 24 Hour Towing! Serving Storrs Mansfield, CT and Surrounding Areas. Tony’s Garage LTD Offers Local & Long Distance 24 Hour Towing! Serving Storrs Mansfield, CT and Surrounding Areas. Need a tow? Call Tony’s Garage. 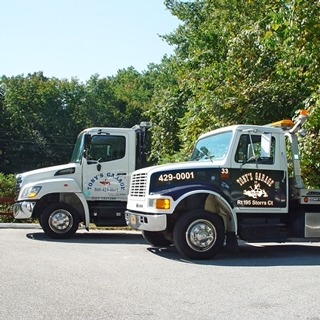 We offer Emergency 24 hour tow service for local and long distance tow. Serving Mansfield 06250, Storrs Mansfield 06268, Coventry 06237, Ashford 06278, Willington 06279, Tolland 06280, Willimantic 06269 and all surrounding neighborhoods. Tony’s Garage offers full towing services plus 24 hour emergency towing.